Atlanta won MLS Cup in 2018. Can new boss Frank de Boer pick up where Tata Martino left off? 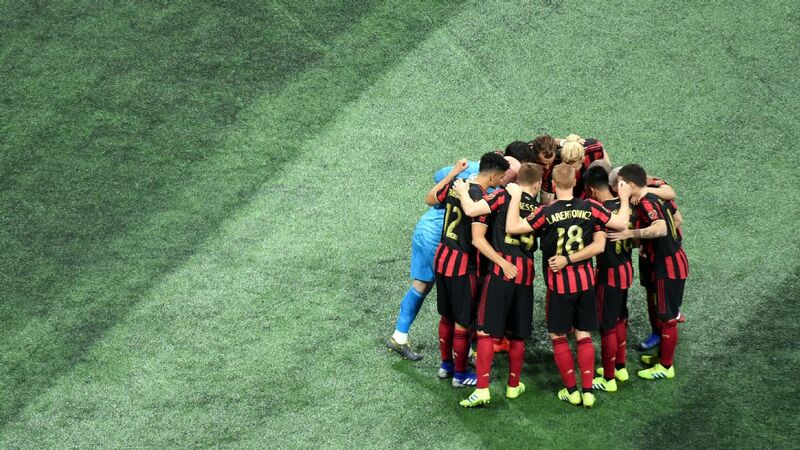 As the Atlanta United players lined up to practice free kicks at the end of a training session earlier this month, Frank de Boer banged one in past reserve keeper Brendan Moore, then another, and then another. Finally, a smiling Josef Martinez implored Moore to "Stop paying attention to him!" in reference to the new manager. De Boer cooled off eventually, but if the Atlanta players didn't know about his playing pedigree before then, they did now. 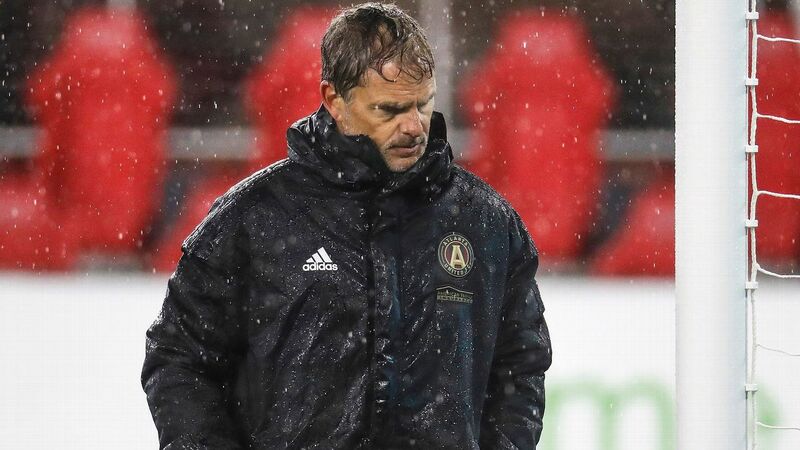 De Boer isn't with Atlanta to show off his prowess as a player, however, but rather his bona fides as a manager, and it's a significant challenge in some respects. Atlanta is coming off an MLS Cup win in just its second year of existence. 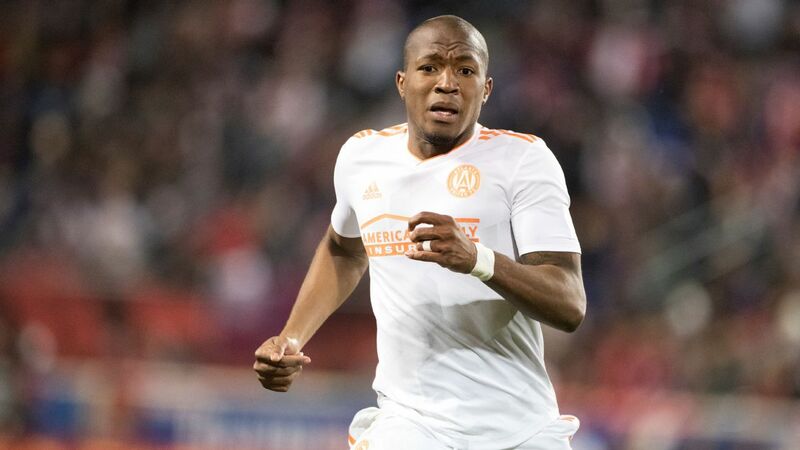 Yes, there are more worlds to conquer, such as the Supporters' Shield and the CONCACAF Champions League, although Atlanta is at risk of being dumped out of the latter by Costa Rican side Herediano. 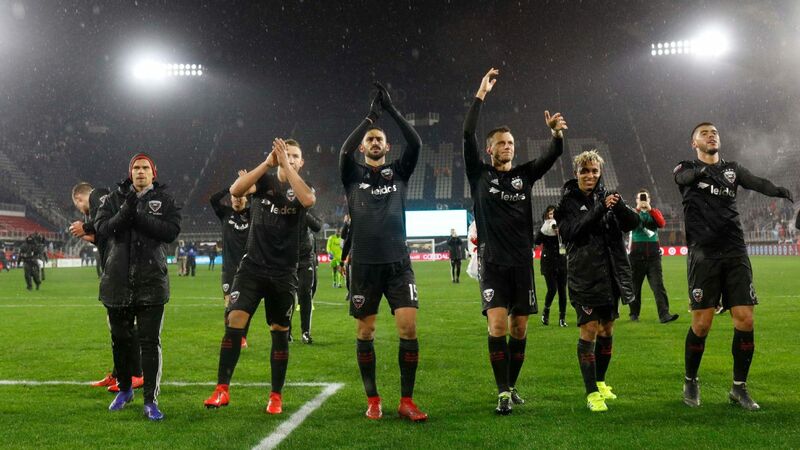 But overall, there is more room to fall than there is to go up in a domestic season that begins on Sunday at D.C. United (6 p.m. ET, ESPN). Then there is the man de Boer replaced. Tata Martino was the avuncular uncle that everyone loved being around, quick with a smile and beloved by fans. 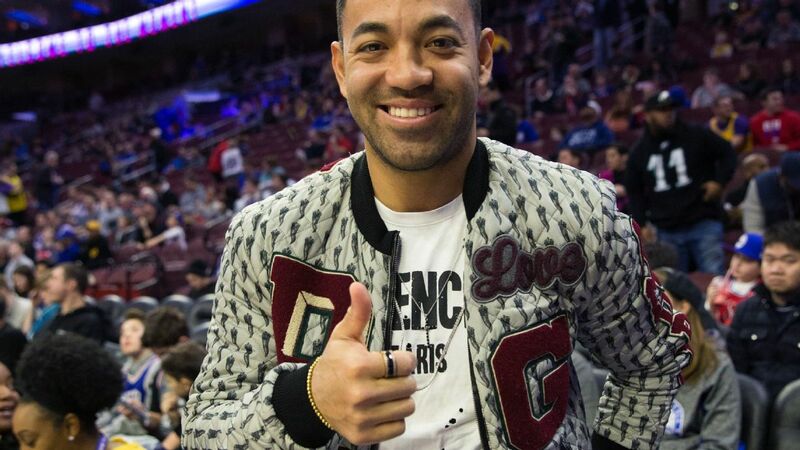 His MLS Cup triumph, one that came after his departure had already been announced, cemented his status. De Boer is more taciturn, disciplined in the way he runs things and more conservative in his tactics. 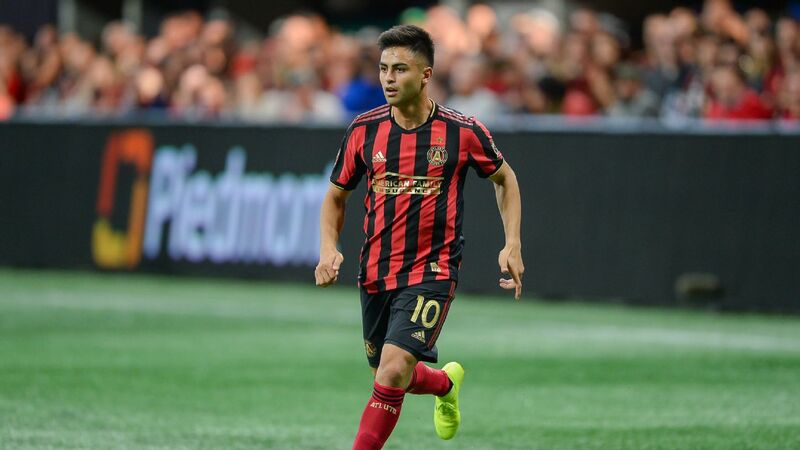 Atlanta captain Michael Parkhurst notes that Martino was a little more "loose" in his approach, from when meetings started to how the team played. "Everything is a little more structured," says Parkhurst. Indeed. Halfway through an interview, de Boer excuses himself because a team lunch is about to take place. "I can't be late," he explains, although true to his word he returns 30 minutes later, and the conversation picks up where it left off. The difference between the two managers is reflected in the team's tactics as well. That is not to say one approach is better or worse; they're just different. For the defending champions, that shift will take some getting used to. 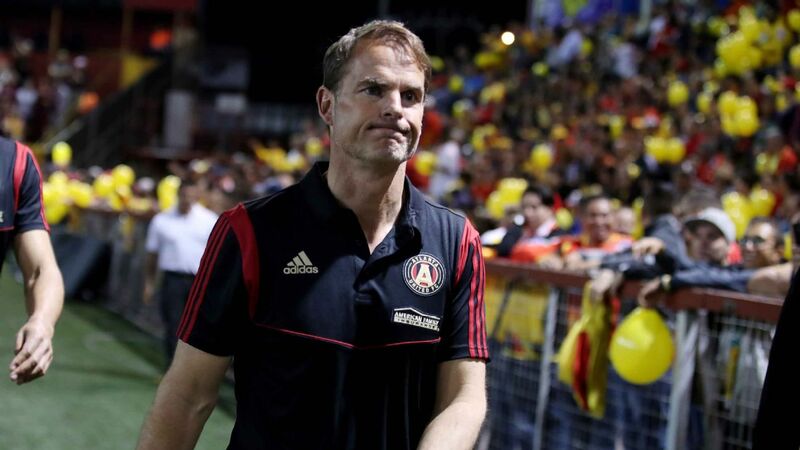 Frank de Boer has big shoes to fill in the dugout of Atlanta United. "Under Tata we had the freedom to attack with eight guys and play a little bit of one-on-one when we're attacking," Parkhurst says, and one can understand Martino's choice. 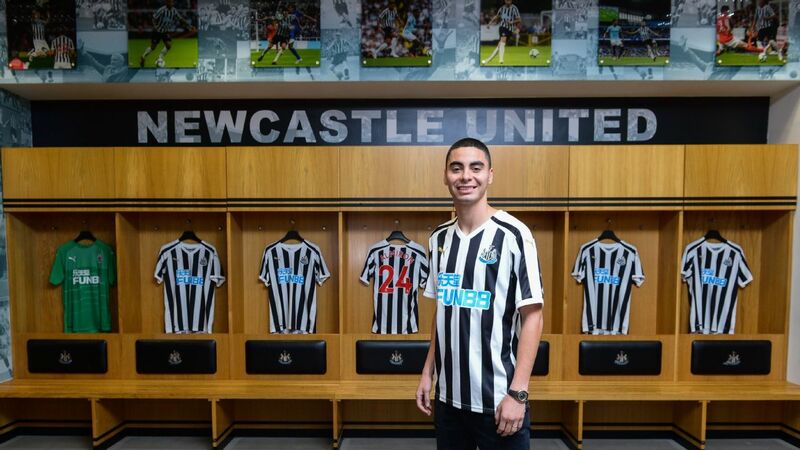 Martinez is the league's record single-season goalscorer, the playmaking of Miguel Almiron -- who set the league record for most expensive sale in its history -- was the foundation upon which Martinez's gaudy numbers were built, and the likes of Darlington Nagbe, Ezequiel Barco, Hector Villalba and Julian Gressel, as immensely talented and influential as they are, have been peripheral figures. The squad was constructed to attack with abandon. "Frank doesn't want that," Parkhurst continues. "He wants us to be more secure, he wants us to make sure we're ready for the counterattack, that we're able to press a little bit to keep them compact, keep ourselves attacking. We want waves and waves of attack, and his idea is that if we keep a couple of guys back, we're secure, we can win those second balls and stay in the attacking half." In some respects, de Boer's more conservative tactical approach isn't a surprise. He was a central defender during his playing career, the vast majority of which was spent under the tutelage of Louis van Gaal. This was evident even during his six-season spell managing Ajax, where he won four Eredivisie titles. "De Boer likes the typical Dutch way of playing, but in the end, he was also criticized [at Ajax] because the play was not spectacular enough," said Willem Vissers, a journalist with Dutch outlet Volkskrant. "In the end, people were saying, 'Hmm, there are too many balls being played back to the goalkeeper. We want to be more dominant, play more [penetrating passes].'" De Boer's competitiveness, one where he values the result over style, is a factor as well. "He's a very bad loser," said Visser about de Boer. "He and his brother [Ronald] want to win in everything they do. If they play golf or Scrabble or football, they want to win. This is now his third adventure in another country, so I think it's very important for him to win matches first and then maybe to make the style of play a little more attacking." There is also the manner of de Boer's arrival in Atlanta. His two previous stops, with Inter Milan and Crystal Palace, both ended inside four months. His tenure at the San Siro lasted 14 matches, in which his side earned just 17 points. In South London, he managed a mere five competitive matches, Palace winning once (a Carabao Cup match against second-division Ipswich Town), losing four times and failing to score in those four Premier League defeats. He says he never worried about not working again, although that's the kind of luxury that titles with Ajax can bring. Clearly, de Boer's reputation was inevitably damaged by back-to-back failures in high-profile leagues, but he insists he's not at all weighed down by those experiences. Rather, he says he's been liberated at what he's found in Atlanta. Everything is well organized. The club's talk of community and an emphasis on the academy is backed up by action. "Everything has influence on the performance of the team, from the chef in the kitchen to the kit man to everybody," he said. "I think [ownership] have that very much under control and they created an ambiance to work very well." In fact, de Boer was so taken with the way things were run in Atlanta that he turned down a chance to manage Belgian side Anderlecht. "My wife was surprised that I didn't choose Anderlecht because it's so close by," he says. "From the beginning, I had a fantastic feeling about this club. It was a new adventure, but for me, I wanted to start with a club without all the negativity. I can really focus on the football itself." It wasn't just de Boer's wife who was surprised. Back in the Netherlands, there were plenty of eyebrows raised at his decision. That said, there is acknowledgement that plenty of good can come from de Boer's stint with the Five Stripes, especially given the team's talent and level of support from the organization. "Everyone thought he would do something in Europe," said Vissers. "On the other hand, his reputation wasn't so good anymore. I think it was important for de Boer to have a big, new start in a new country with nicer weather, a beautiful city, a league which is very spectacular with all the new players. And when people heard about such a big team with a beautiful stadium, and how it's full with 64,000 fans, and all the colors and the barbecues in the parking lots and all the American atmosphere, they said, 'Oh, that's a nice job.'" Before needing another new start in another new country, there was Ajax, where he excelled as both a player and later a coach. He got his start in the coaching ranks with the club's U13 team. His pedigree as a player didn't carry all that much weight. If they wanted to hear about his legendary pass that set up Dennis Bergkamp's winner against Argentina at the 1998 World Cup, they'd have to look it up on YouTube. "The parents knew me better than the kids who played for Ajax," he says. "That was good for me. I was just a coach." And so the process of transitioning from player to coach began, one that he says goes very slowly. De Boer estimates that mentally he was still "80 percent a player" in those early years. He knew that had to change. "You want to participate in games because I still was as fit as I can be. That's a transition you have to make, and now I am a 100 percent coach." In terms of his coaching influences, de Boer occupies a rare place in Dutch coaching spectrum. Dutch football is often characterized by its interpersonal feuds. Among the bigger squabbles was the one waged between Johan Cruyff and Louis van Gaal. Both were products of Ajax, but whereas Cruyff was often looked at as the romantic, Van Gaal was viewed as the pragmatist. De Boer was caught in the middle to a degree. 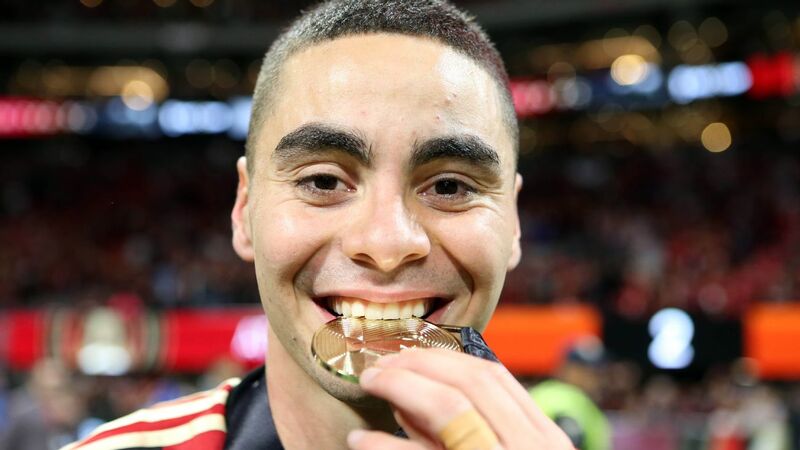 He was part of those great Ajax teams under Van Gaal, and he later followed his coach to Barcelona. But being an Ajax man means never being too far from Cruyff's shadow, even though the legend passed away nearly three years ago. But de Boer insists he doesn't feel pigeonholed by one or the other. He is the product of many coaching fathers. "I want to pick from everything that's the best," he says. "Johan Cruyff was amazing when he was a coach and as a player. I have a lot of Van Gaal, but also Guus Hiddink and other coaches. That makes Frank de Boer. So you have to have your own identity. That's the most important thing." When de Boer talks about Cruyff, he refers to the minutiae, how Cruyff insisted on the best player taking throw-ins because he would immediately be open. He mentions Cruyff's insistence while at Barcelona in pushing Ronald Koeman out of defense and into midfield, the better to take advantage of his passing ability. Then there is the way Cruyff's teams pressed. "Those kind of things, they are small details, but in top football they make a difference," said de Boer. Yet when he talks about what he picked up from Van Gaal, there is an edge to his voice, an uptick in intensity, the pragmatist emerging. "Van Gaal, he was structured, [there was] energy, the preparation for every game, underestimate nobody, get the information for the players so they know exactly what kind of opponent, what you can expect," de Boer says. "That's also some part of me right now, to do every training 100 percent." De Boer has been walking a tricky line so far with Atlanta United. He is trying to be respectful of what the team has already achieved, while also putting his stamp on things. 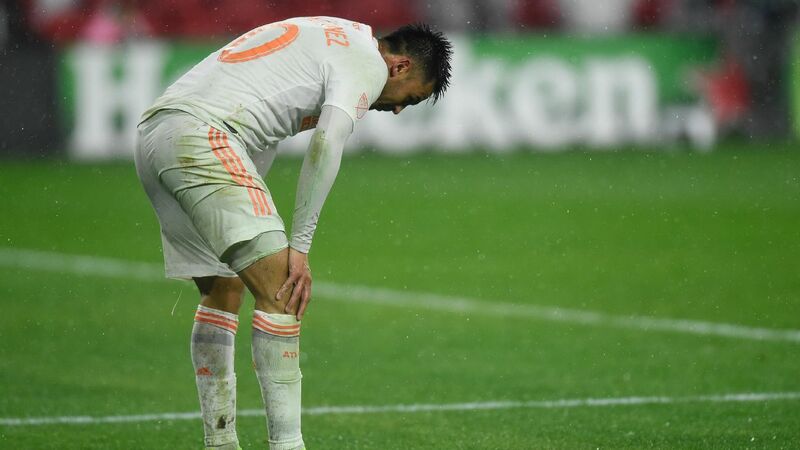 The offseason arrival of Pity Martinez gives him attacking flexibility. "If you throw everything overboard, it would be ridiculous because they did something really fantastic. So why change good things?" he says. "OK, maybe update things a little bit, but not really changing things." But such an approach also runs the risk of trying to satisfy everyone and instead pleasing no one. For the moment, de Boer plans to play with two holding midfielders, although what he'll trot out in the second leg against Herediano -- his team trails 3-1 from the first leg -- is anyone's guess. He's already made a few eyebrow-raising decisions, most notably playing Parkhurst as a marking back in a three-man back line and playing Miles Robinson centrally. The more mobile Robinson seemed better suited for Parkhurst's role and vice versa. It is still early days, however, with the league opener set to take place on Sunday in D.C. There is a new country, a new culture, and long road trips to adapt to. There will likely be mistakes along the way, but the drug of winning is one that still drives de Boer, even if it is a bit different now than in his playing days. "Playing is more enjoyable, but what I experienced as a coach is you have a kind of idea of how you want to play and you have an idea how you would go to where you want to go with the whole team, the staff, the players. And when that [championship] happens, it's such a great feeling. It's what we worked so long for and you see it. As a player, you don't understand. You don't see it. As a coach, you have so much influence from all parts, from the players themselves, from the staff, media. If you have an idea and you work with the whole team toward that, and you see that really developing on the pitch, that's a fantastic feeling." It's one that Atlanta will hope to repeat at season's end.